Google 'Right To Be Forgotten' Ruling Unlikely to Repeat in U.S.
Europe's moves to rein in Google — including a court ruling this month ordering the search giant to give people a say in what pops up when someone searches their name — may be seen in Brussels as striking a blow for the little guy. "Americans will find their searches bowdlerized by prissy European sensibilities," said Stewart Baker, former assistant secretary for policy at the U.S. Department of Homeland Security. "We'll be the big losers. The big winners will be French ministers who want the right to have their last mistress forgotten." 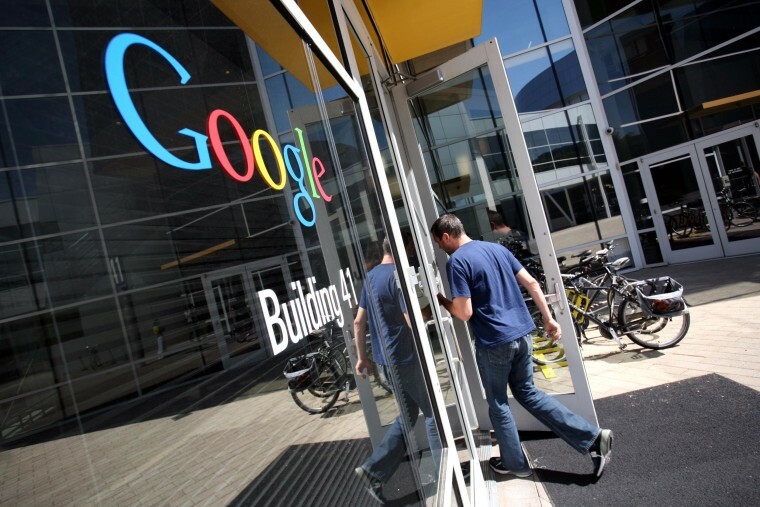 Mountain View, California -based Google says it's still figuring out how to comply with the European Court of Justice's May 13 ruling, which says the company must respond to complaints about private information that turns up in searches. Google must then decide whether the public's right to be able to find the information outweighs an individual's right to control it — with preference given to the individual. "This is logistically complicated, not least because of the many languages involved and the need for careful review." The judgment applies to all search engines operating within the European Union. But in practice that means Google, given that 90 percent of all online searches there use Google's search engine. "The ruling has significant implications for how we handle takedown requests," Google spokesman Al Verney said. "This is logistically complicated, not least because of the many languages involved and the need for careful review. As soon as we have thought through exactly how this will work, which may take several weeks, we will let our users know." There will be serious technological challenges, said U.S. privacy attorney David Keating in Atlanta. "It seems aspirational, not a reality, to comply with such a standard," he said. "The re-engineering necessary to implement the right to be forgotten is significant." Google may partially automate the process, as it does with copyright-infringement complaints, but ultimately a human will have to decide when results should be sanitized. Johannes Caspar, who as Hamburg's Commissioner for Data Protection acts as Germany's lead regulator of Google on privacy issues, confirmed the company is already working on an "online tool" to help people file complaints. Because the court's ruling applies only within Europe, it will mean some fragmentation of search results. That is, Europeans and Americans will see slightly different versions of the Internet. A worst-case scenario would be if Google decides it must err on the side of caution and removes links liberally in order to avoid lawsuits, critics of the ruling said. Wikipedia founder Jimmy Wales, who has been an outspoken critic of the ruling, summarized it for The Associated Press as a "technologically incompetent violation of human rights." He said it amounts to censorship, and he predicted it will ultimately be scrapped. "The danger is that search engines now are faced with an uncertain legal future which may require them to censor all kinds of things when someone thinks it is 'irrelevant'," Wales said. In the wake of the decision, some Europeans are already asking to clean up their online history, though there may not yet have been a "flood" of hundreds of requests, including some from pedophiles and politicians, as was reported in the British press shortly after the ruling was handed down. In Britain, David Murphy of the Information Commissioner's Office said "while we've had some people get in touch around this issue, we're simply telling them to speak to Google." Officials in the Netherlands said they haven't had any new requests since the ruling. Caspar, the German official, said his office has received 20 new requests, including some from people who won legal fights with websites to have material taken down — but the sites didn't comply because they were based abroad. Differences between the U.S. and Europe over privacy have never been greater, sparked by recent revelations that the U.S. National Security Agency secretly broke into communications on Yahoo and Google abroad and targeted overseas telecoms, including German Chancellor Angela Merkel's own cellphone. "In Europe, there is a sense that privacy and control over personal data are basic human rights." Joel Reidenberg, visiting professor of information technology policy at Princeton University, said the ruling was not surprising, "given the current tenor of US-European privacy relations as a result of the Snowden revelations." A "fundamental divide" between the European and American worldview is becoming evident, he said. "In Europe, there is a sense that privacy and control over personal data are basic human rights," he said. In America, freedom of speech and free-market solutions tend to prevail, he said. Nico Sell, who runs San Francisco-based Wickr, an encrypted messaging service, said it would make more sense to let individuals, not tech giants, control their own online presence. "The right to be forgotten is a great idea philosophically, but it is wrong to put the onus on Google or Facebook," she said. "They have no idea where all your data is, and this is not their job. We need to give consumers tools with the ability to add expiration dates to their personal data."